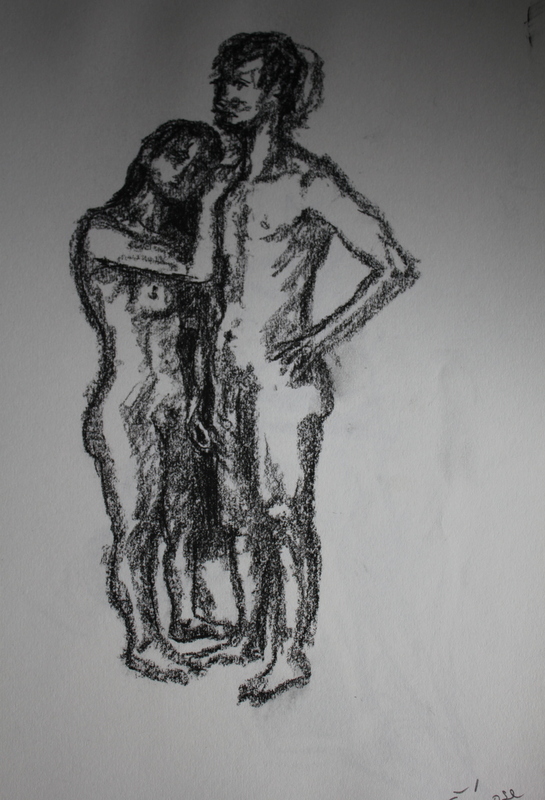 looking at a similar drawing in content by KLIMT: His lines are determined and flowing into each other, the women’s legs are a little less determined than the rest of the image–my drawing is done in charcoal and I don’t feel this medium lends itself to the representation of the flowing lines which are part of the feel of the interaction between the two models. -one hand on hip, lying and leaning backwards, kneeling with one leg outstretched behind. I wonder how long it took Augustus John to draw these images, done in a very fine pencil which, again gives elegance to the image, faces in a state of melancholic longing? lend another story to the figure. Foredshportening of the arm of the figure on the right and soft hatched minimal shading. It makes my images look very solid and clumsy. 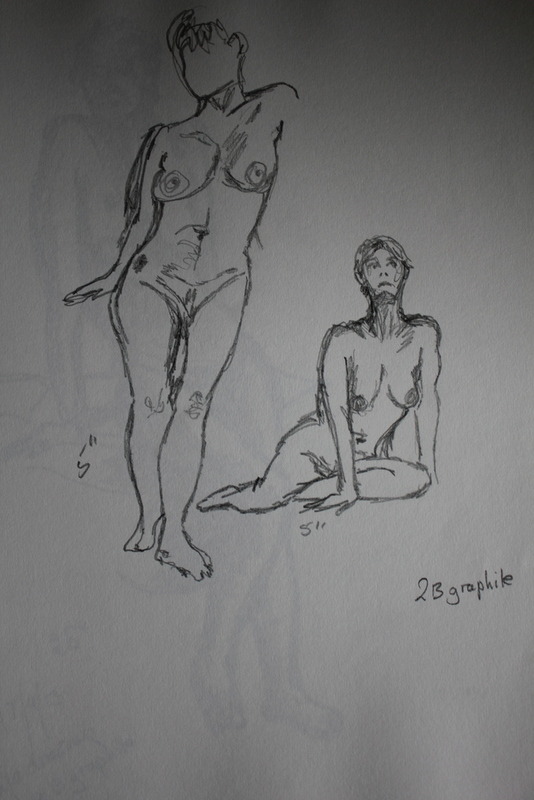 Sketches H A tilt of the hips and lying on floor with trunk and head up -shows a lot of foreshortening.